Carlos Sainz has escaped unhurt from a heavy crash at the Russian Grand Prix final practice. The Toro Rosso driver was taken to hospital in Sochi after smashing into barriers at Turn 13, approached at 200mph. There was no immediate information on what had caused him to lose control on one of the fastest parts of the track. 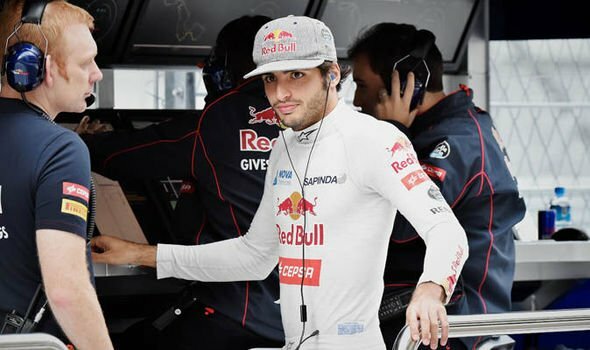 Carlos Sainz’s team said that they did not yet know what had caused the accident, but initial indications were that it was not a car failure. The driver lost control and glanced the outside concrete barrier as he braked through the difficult kink before Turn 13, which is approached at more than 200mph. Carlos Sainz’s car glanced along the wall, leaving a series of tire marks, before spearing straight across the run-off area and into the barriers.